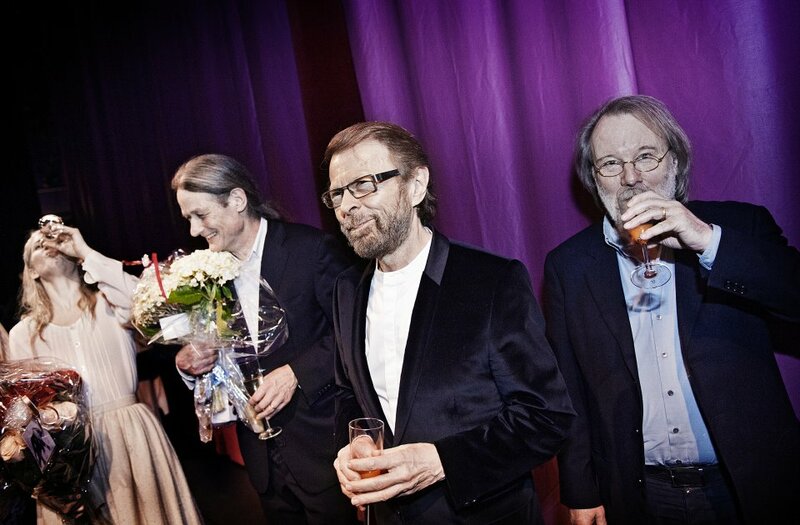 Abba stars Benny Andersson and Björn Ulvaeus have reunited to compose the theme tune for the Eurovision Song Contest 2013, in Malmö. Abba members Benny Andersson and Björn Ulvaeus have composed the theme tune for the Eurovision Song Contest 2013, a song called We Write the Story. 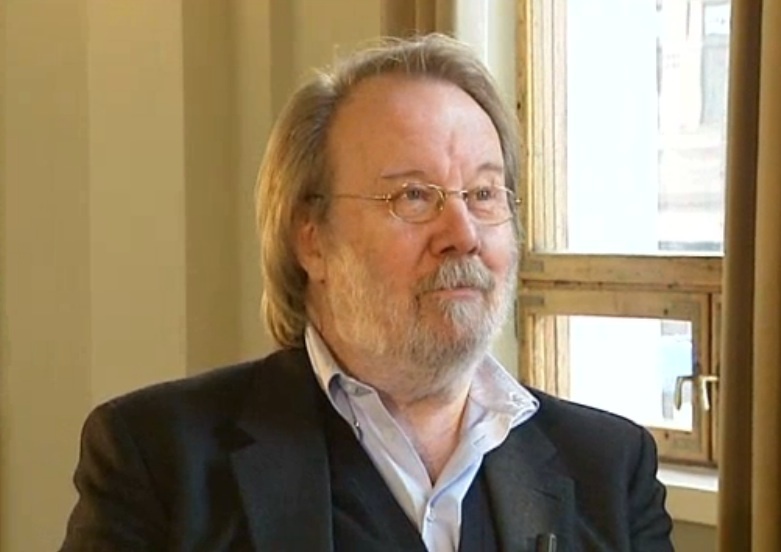 Andersson and Ulvaeus have collaborated with Swedish DJ Avicii on the track, which isn’t Sweden’s entry in the competition, but instead a “Eurovision anthem” which celebrates the country’s hosting of the competition in Malmö. It will be performed to open the Eurovision final on May 18. Executive producer of this year’s contest, Martin Österdahl, said in a statement that Andersson, Ulvaeus and Avicii were at “the very top of the list” of musicians to create the anthem, an idea which has been present since Malmö contest planning got under way. 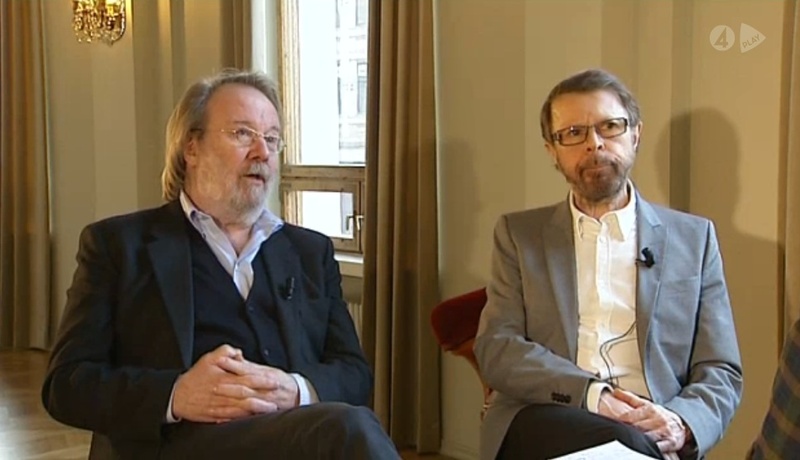 Andersson and Ulvaeus added that We Write the Story was a “piece of mutual understanding and fellowship” and “a lot of fun and very inspiring”. The pair have been collaborating together since Abba dissolved in 1982 after a final public performance on British TV, although the band appeared together again in 2008 at the Mamma Mia! film premiere. Eurovision was a big part of Abba’s success story, after they won the contest in 1974, marking Sweden’s first victory. 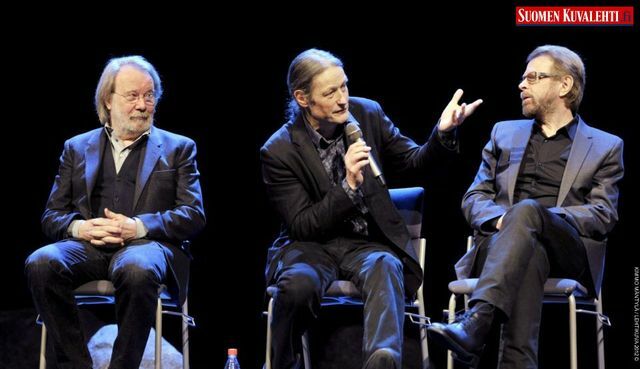 However the band are adamant that a formal live reunion is unlikely to happen, much to the disappointment of their fans. Among Andersson and Ulvaeus’s accomplishments in the last 30 years are the single I Know Him So Well – a duet sung by Barbara Dickson and Elaine Paige as well as Barbra Streisand and Whitney Houston – and West End and Broadway musicals Chess and Mamma Mia!. MAMMA MIA! London will be holding a special Gala performance in support of BBC Children in Need, at the show’s new home, the Novello Theatre, on Wednesday 12 September 2012. The night will include special guest appearances by BBC Radio 2 presenters Vanessa Feltz, Anneka Rice and Penny Smith. Sir Terry Wogan will be there to mark this special night, along with a celebrity-packed audience to help celebrate MAMMA MIA!‘s third London home. MAMMA MIA! originally opened in London at the Prince Edward Theatre on 6 April 1999, before transferring to the Prince of Wales Theatre on 3 June 2004. 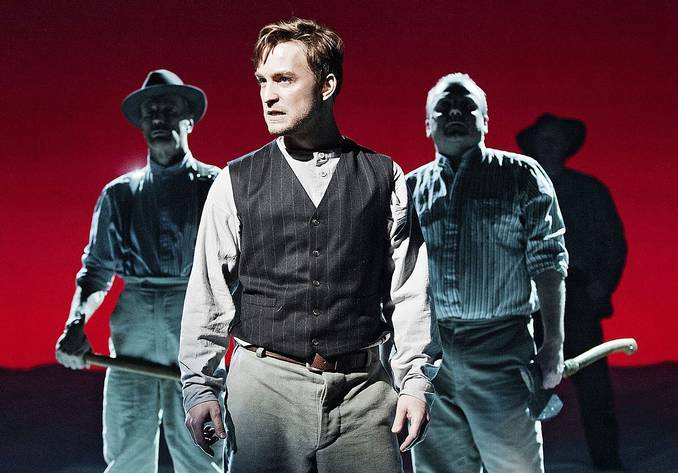 Performances at the Prince of Wales Theatre will end on 1 September. The musical will re-open at the Novello Theatre on 6 September 2012. Award winning Gale Edwards directs a new staging of this extraordinary musical. Tony Bartuccio choreographs and David Piper conducts. With lyrics by Tim Rice (Jesus Christ Superstar, The Lion King) and music by ABBA’s Björn Ulvaeus and Benny Andersson (Mamma Mia! 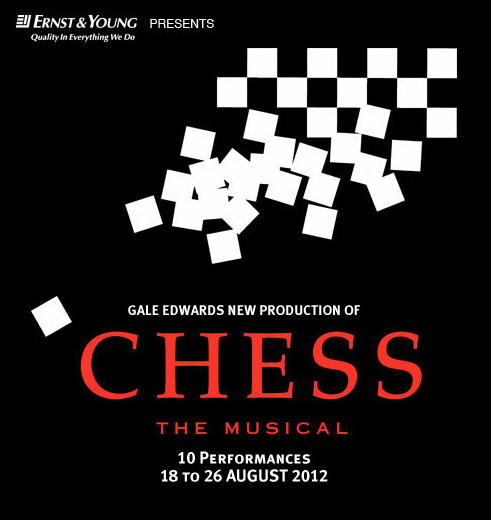 ), this highly acclaimed musical develops the ancient and distinguished game of chess into a metaphor for romantic rivalries and East-West political intrigue. Inspired by the Bobby Fischer-Boris Spassky Match of the Century in 1972, the monumental rock score for this brilliant musical includes the mega hits I Know Him So Well, One Night In Bangkok, Where I Want to Be and Anthem, one of the most stirring melodies ever. Jessica Armstrong, Dave Burrows, Madeline Cain, Rachel Cole, Anthony Costanzo, Nelson Gardner, Jillian Green, Danny Golding, Tyler Hawkins, Crystal Hegedis, Raelene Isbester, Rosa McCarty, Turanga Merito, Jessica Mortlock, Chris Ostrenski, Joel Parnis, Anthony Pepe, Jordan Pollard, Collin Poole, James Shannon, Catherine Shepherd, Esther Stephens, Cameron Thomas, Dean Vince, Matt Ward and Wei Wei Zhang. Management reserves the right to add, withdraw or substitute artists and may vary the program should the necessity arise. The State Theatre is located in Theatres Building (under the Spire of the Arts Centre Melbourne). Comments : Comments Off on CHESS. 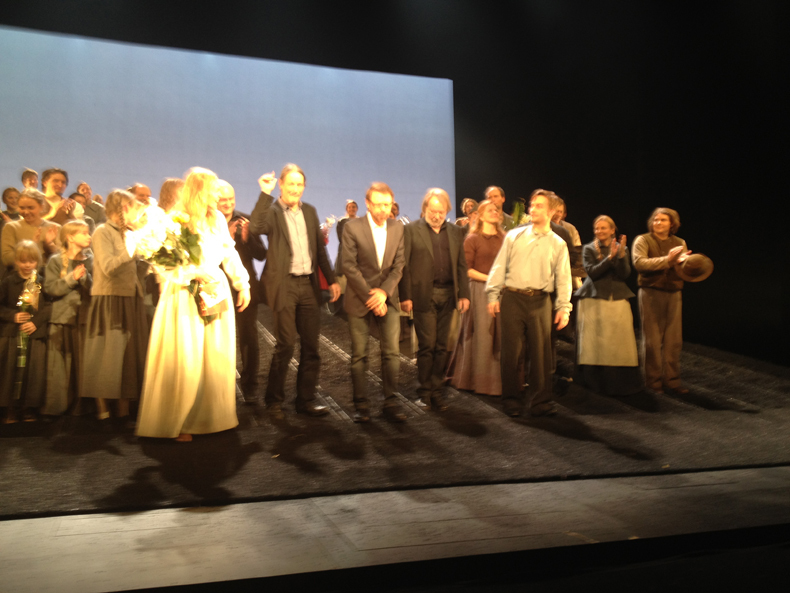 Kristina från Duvemåla has it premiere in Finlad, and both Benny and Björn were there for the show. Comments : Comments Off on Kristina! 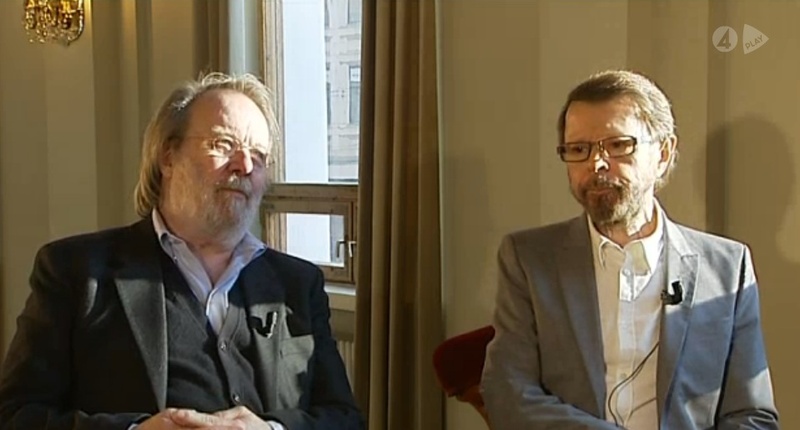 ABBA’s male members, Benny Andersson and Bjorn Ulvaeus are currently preparing the musical Kristina från Duvemala at the Svenska Teater in Helsinki . 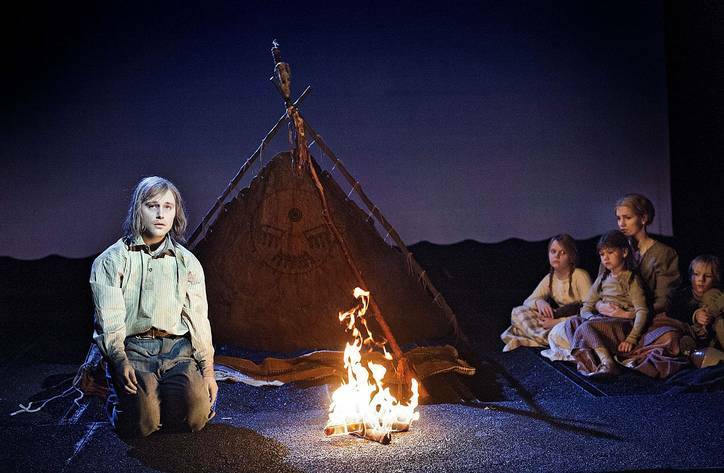 Kristina från Duvemala The musical tells of Swedes, who move to the United States. 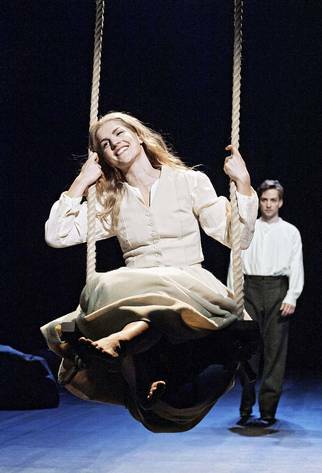 Originally, the musical had its premiere in Sweden in 1995. “This has been an absolutely amazing experience”, both say. Last week it was reported that Abba’s The Visitors Deluxe Edition will be released.,The latest edition of the album is accompanied by an “unreleased” Abba song. 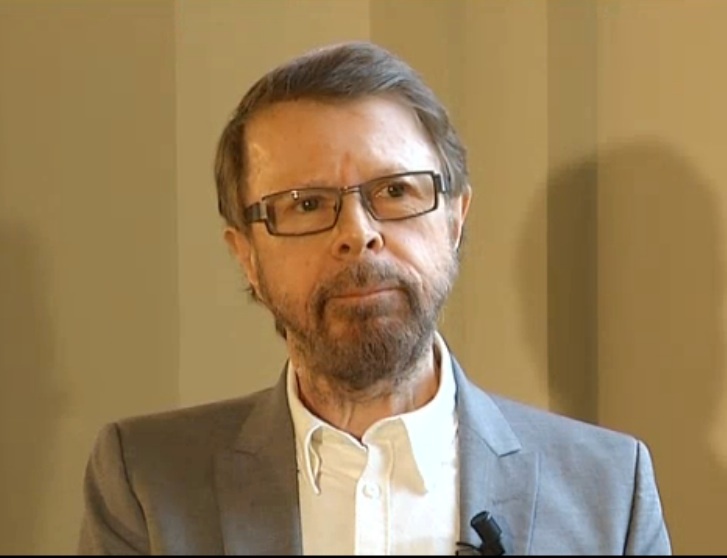 Andersson and Ulvaeus say the news is an exaggeration. “It’s just a demo of Like An Angel Passing Through My Room. It is a good illustration of the process in recording a song, thereby making the “song” something interesting to release,” Andersson says. Do the Abba archives have any more tidbits for publication? He will update it, how on earth Abba’s music has remained popular all these years. 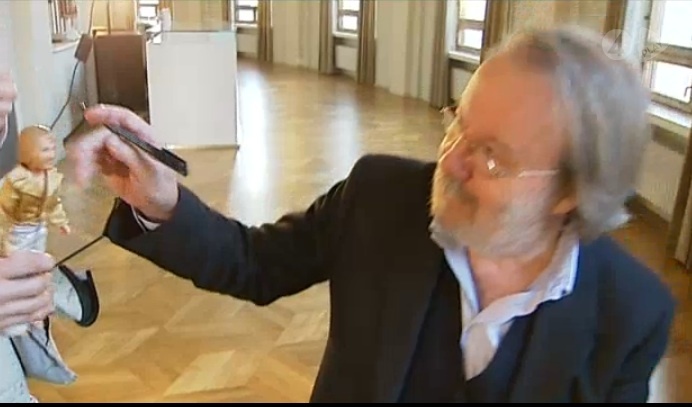 Andersson asked what was the first supplier of Abba album. “Oh, Arrival. Yes, it is still pretty nice deck, the helicopter was a good idea,” he admits. Abba members do not have much to do with each other nowadays, and to assure usUlvaeus says, Abba, will never occur together again – in spite of all sorts of rumors. 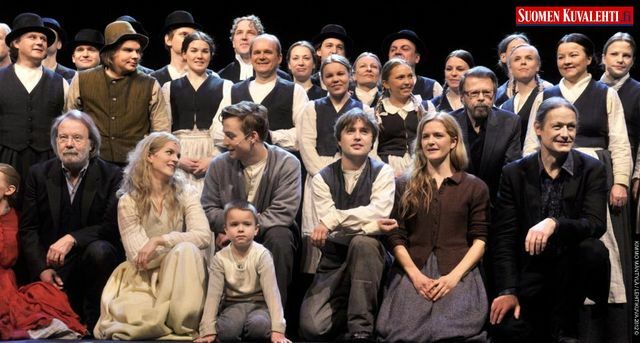 TV4 aired a segment on Nyhetsmorgon about the upcoming production of Kristina från Duvemåla in Finland. 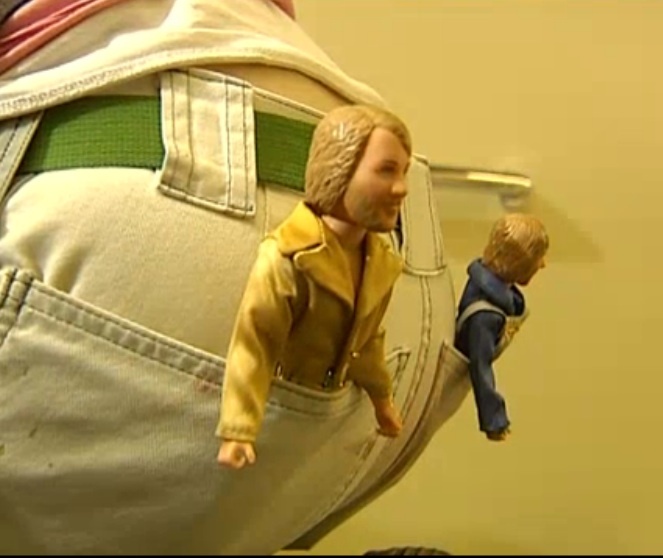 A theatre staff member gets Benny and Björn to sign her ABBA dolls! 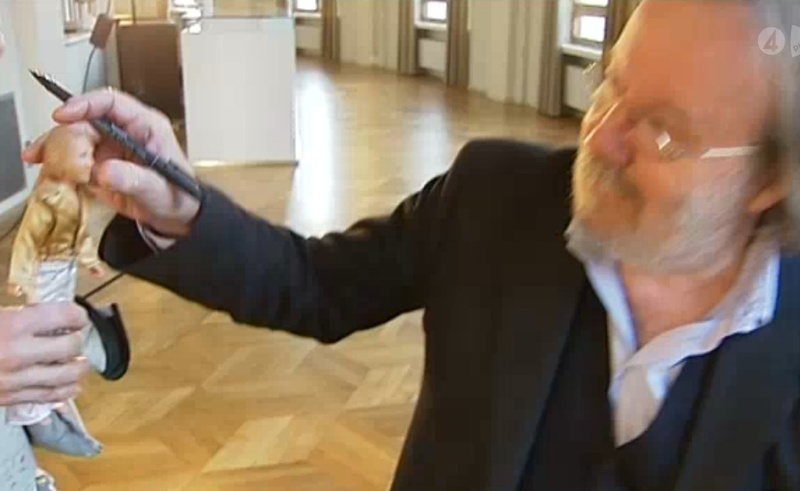 Watch the clip featuring rehearsals,interviews and the doll signing here! 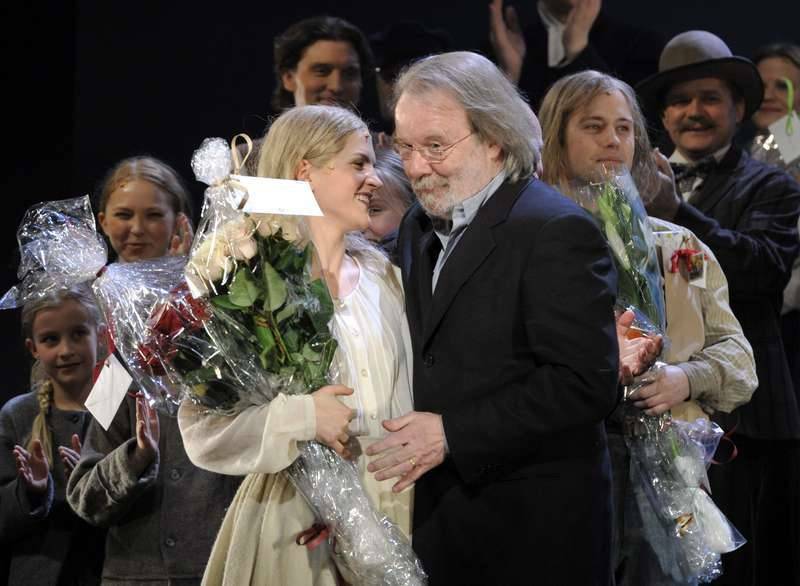 He might already know it so well – because he wrote it – but Abba’s Benny Andersson popped in to check on his show Chess in Glasgow. The Abba star, who also penned smash-hit musical Mamma Mia, was at the city’s King’s Theatre on Saturday to see the last night of the production directed by Strictly Come Dancing judge Craig Revel Horwood. Benny, 64, who wrote the music with fellow Abba member Bjorn Ulvaeus while Sir Tim Rice provided the lyrics, even signed autographs for some fans who spotted him, before heading backstage to meet the cast. The musical includes the song I Know Him So Well, which was recently a Comic Relief hit for Susan Boyle and comedian Peter Kay. The Swedish singer/songwriter was in Abba from 1972 until 1982. The group found fame after winning the Eurovison Song Contest in 1974 with Wateroo. 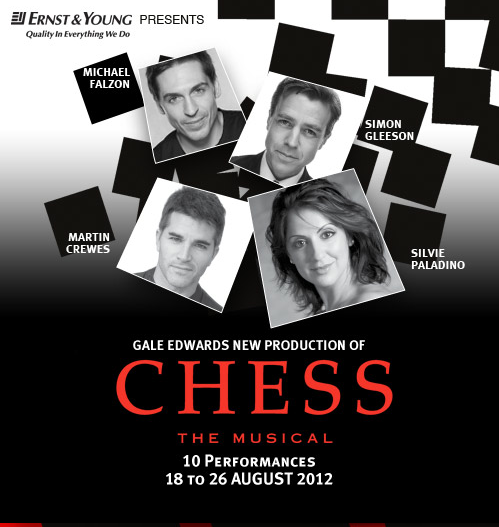 Chess, Benny and Bjorn’s first musical, opened in London’s West End in 1986 and played for three years. It is set against a backdrop of the Cold War as two great chess masters, an American and a Russian, battle it out at the world championships.